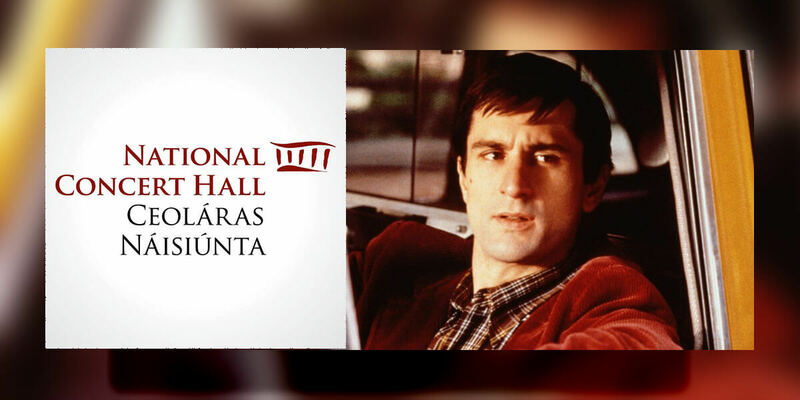 Martin Scorsese's Taxi Driver with Bernard Herrmann’s score performed live by RTÉ National Symphony Orchestra and conductor Robert Ziegler. Very few artists make a contribution to their form as uniquely significant as the one Martin Scorsese has made to cinema. Set against a lurid cinematic vision of New York, DeNiro’s Travis Bickle is the taxi driver who becomes lost, isolated and alienated as he struggles to connect with the city he can’t understand. Bernard Herrmann’s score brings together old and new Hollywood, with brooding, shifting chords, an ominous drum beat, a soaring saxophone melody. Herrmann’s glorious last film score, delivered the night before he died, provides an eloquent, nightmarish texture to Scorsese’s hellish portrait of 70s Manhattan.